After all these years it’s clear that my book club will never be the kind of group that sits in an organized circle, methodically responding to prepared literary questions about symbolism as we tactfully draw G-rated allegories between the text and our own lives. Instead, we all roll in like tornadoes, one after the other, carrying bundles of food and bellying right up to the bar where four or five boisterous conversations (not about the book) are already happening simultaneously, each competing to be heard over the other. What can I say? We are a passionately opinionated bunch, and a month’s worth of life experiences between our meetings is just too much to contain. If anything can keep us on track, it’s a good theme. And this month we nailed it! 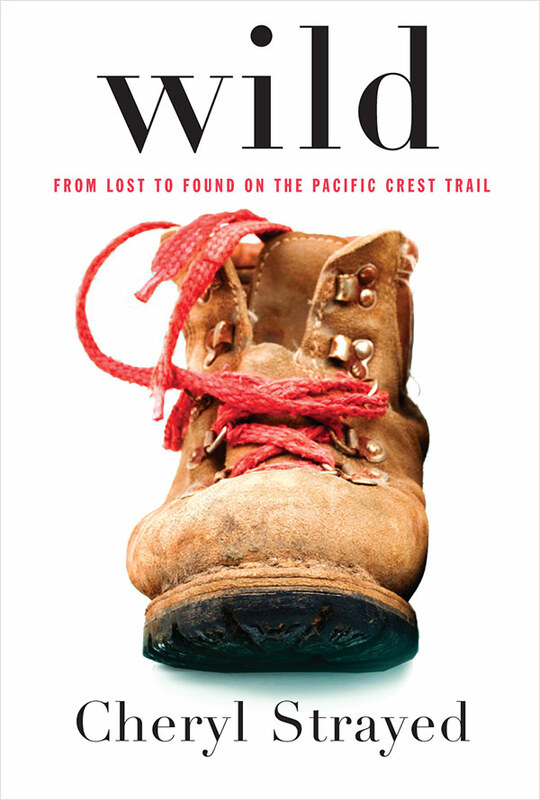 We read Wild: From Lost to Found on the Pacific Coast Trail. It’s Cheryl Strayed’s memoir of a solo hiking excursion through California, Oregon, and Washington. The book inspired us to make campfire dinners. 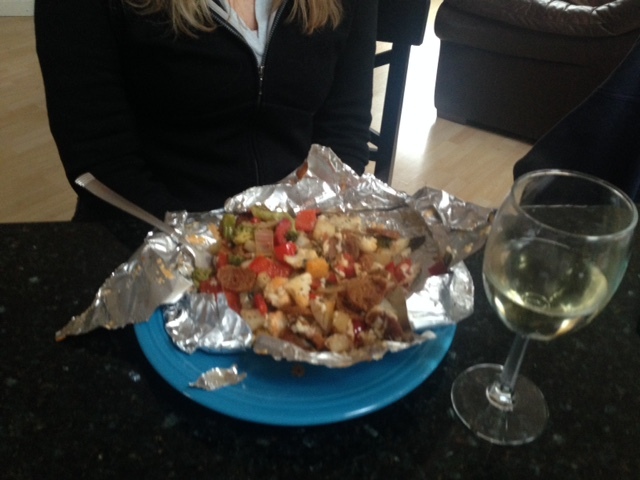 We chopped up scads of veggies – potatoes, cauliflower, broccoli, mushrooms, onions, bell peppers – and stirred them up with fresh herbs and plenty of seasonings. 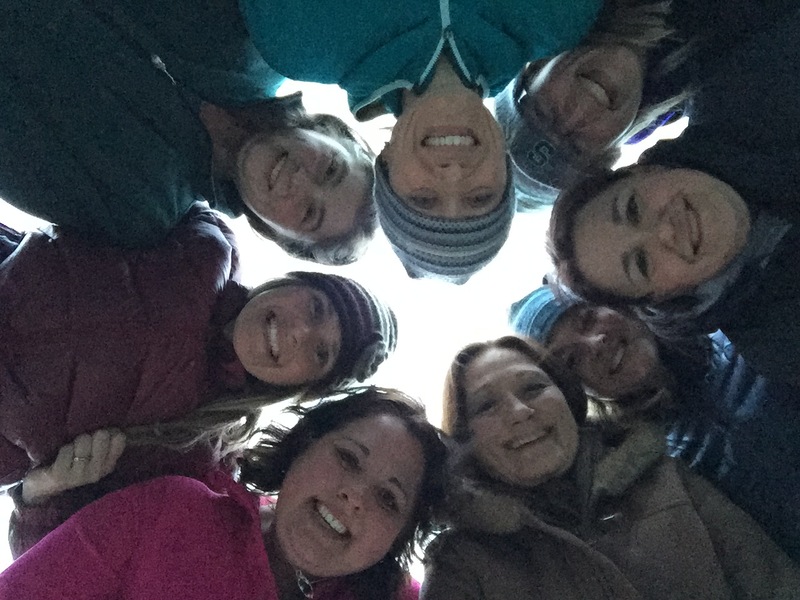 Ideally we would have cooked them in a big old fire pit, but it was a windy night so we opted for the oven instead. They still turned out great! 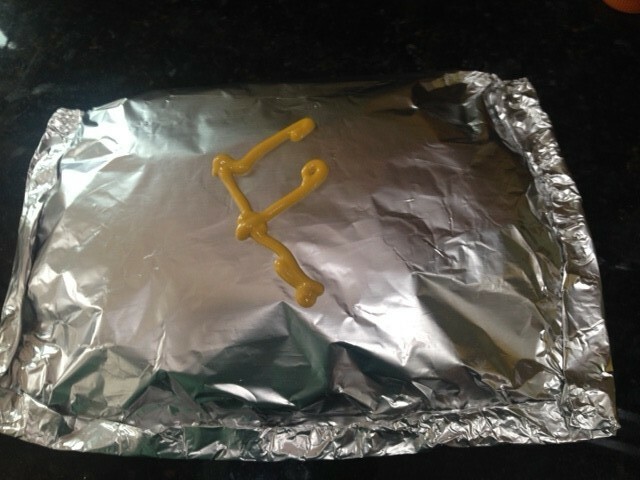 Janelle learned a slick trick back in her Girl Scout days: squirt your initial with cheap mustard on the outside of the foil. The letter will burn on the foil as it cooks, so everyone is sure to receive their own customized concoction. Perfect meal, and easiest cleanup ever! 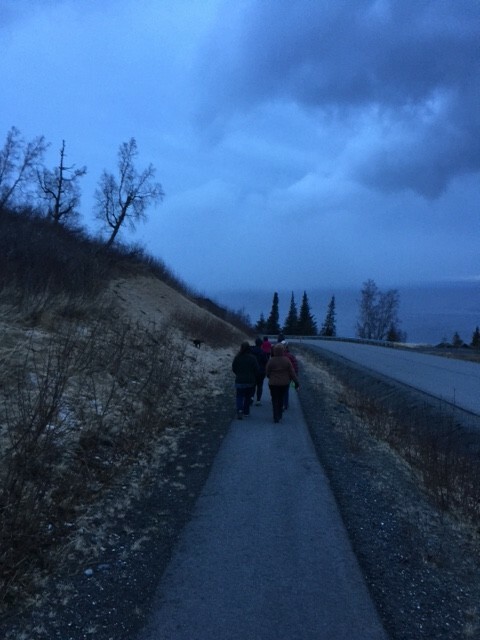 After dinner we laced up our hiking shoes and took a little stroll. We are blessed have a Pacific Coast Trail right outside our front door, and even though it was a cool, blustery evening we all hit that trail. What better way to honor the book?! When we got back to my house we actually talked about the book! We had very different opinions about really good questions (most found here). Our on-task chat (we were so proud!) was only cut short because we were dying to watch the film adaptation of the book. We broke out the fleece blankets, scrunched together on the couch, and cued up the movie Wild starring Reese Witherspoon. Me? I just wanted to know how they did that scene where Reese Witherspoon ripped off her toenails. That couldn’t be real, could it? Book club is always a highlight of my month, but last night was especially positive, healthy, special, and thought-provoking. 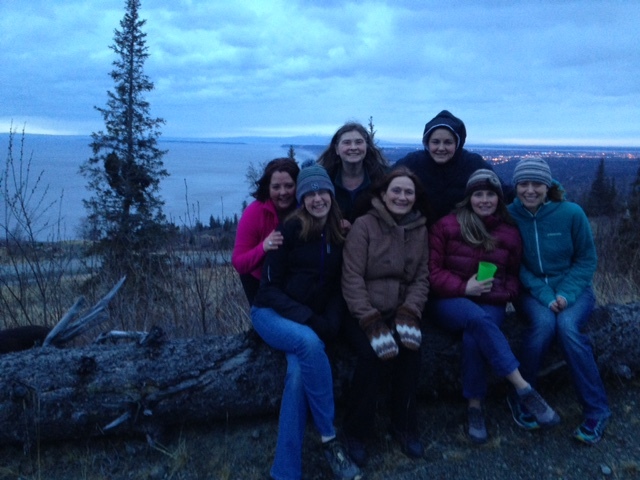 As long as I have this group of women in my life, I will never need to walk 1000 miles to clear my head or fill my tank! Previous Previous post: Puppy Dog Birthday: A Perfect Paw-ty Theme!